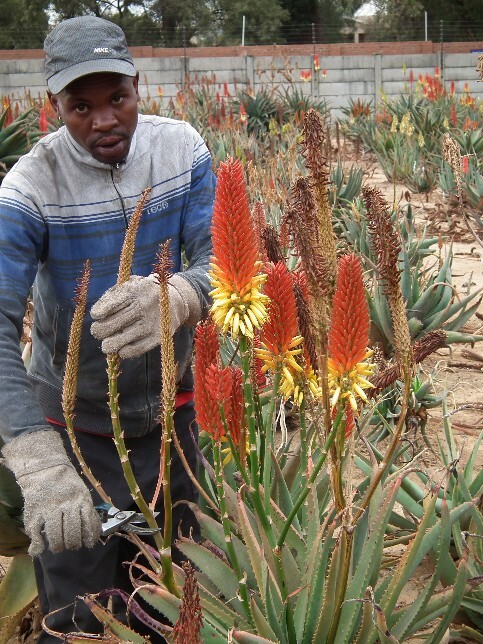 Cold is the unpredictable factor when growing aloe hybrids. Often a few meters’ difference in location can either mean frost damage or none at all. 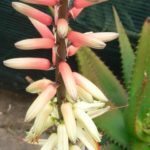 All Sunbird Aloes are born and bred on the frosty Gauteng Highveld just North of Johannesburg, and all the medium and large cultivars are grown in the open where light morning frost in winter is a common occurrence. For this reason most of the cultivars are given a rating of “medium” when it comes to frost tolerance. Heavier frost can be problematic, particularly for flowers. Given low enough temperatures, even plants will succumb. They are, after all, succulents with moisture filled foliage. As a general rule, the smaller the plant, the greater the likelihood of cold damage. 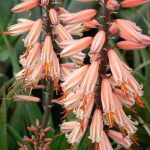 For this reason the small cultivars grown by Sunbird Aloes are given a frost tolerance rating of “low”, planted in nursery bags or pots and kept in open plant houses where they can be covered to protect them from direct frost in winter. These plant houses are not heated, however, and are often covered in an icy sheet. 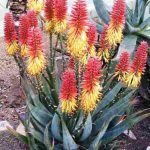 Some of the smaller hybrids can probably deal with cold as well as the larger plants, but this would be best established by the gardener him/herself as it would depend on the planting site.